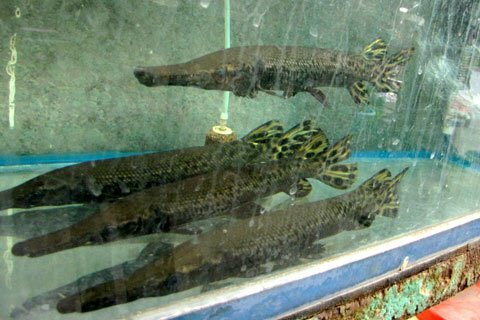 VietNamNet Bridge – Many people are willing to pay hundreds of USD to buy Arhat fish, dragon fish, Koi fish, etc. 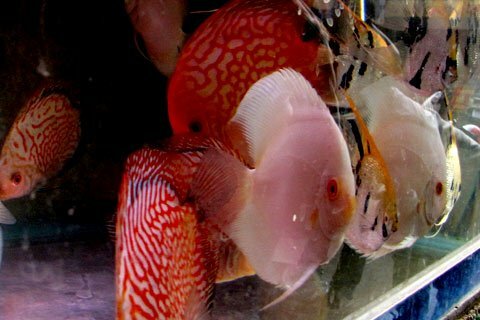 These species of fish are not only ornamental fish but they are expected to bring about good lucks and prosperity for their owners in the early year. 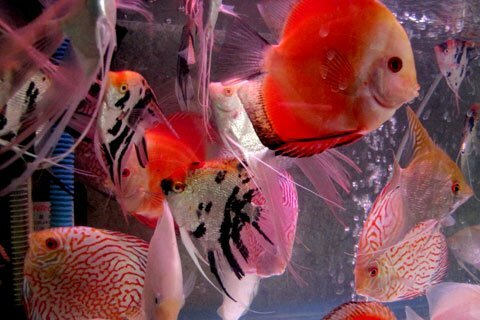 Two streets specialized in ornamental fish in Hanoi are Yen Phu and Hoang Hoa Tham. 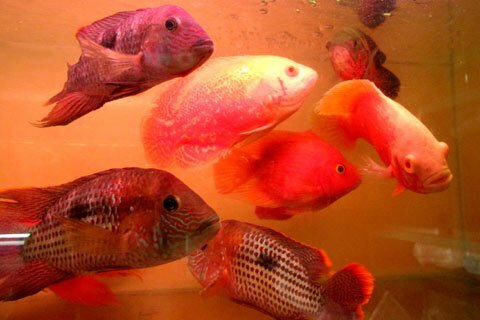 Shops there supply all species of ornamental fish, including tens of expensive species. 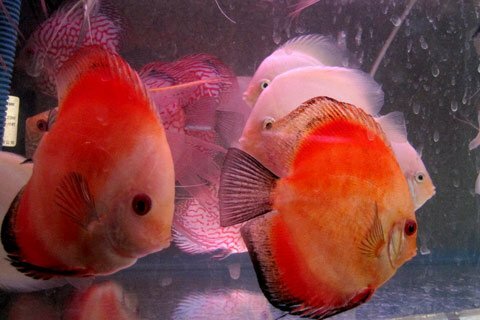 fish is priced from $50 to $500-700, depending on the fish’s age and patterns. their bodies. These patterns look like Chinese script. 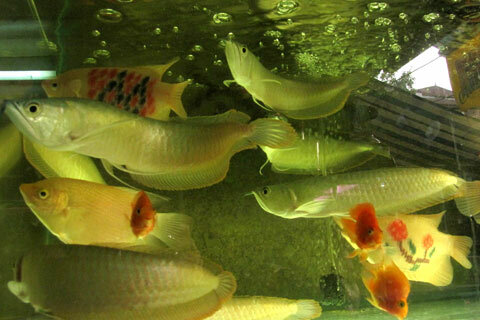 are Arhat fish with yellow and silver scales, which are bred to wish for wealth. small branches of the Amazon. 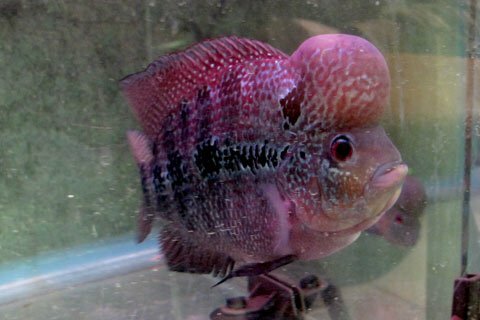 This pair of silver discus fish is priced over $30. 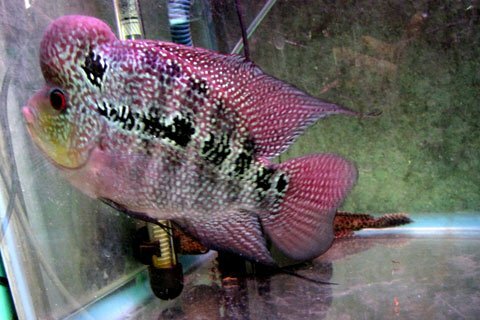 are priced at least $500. 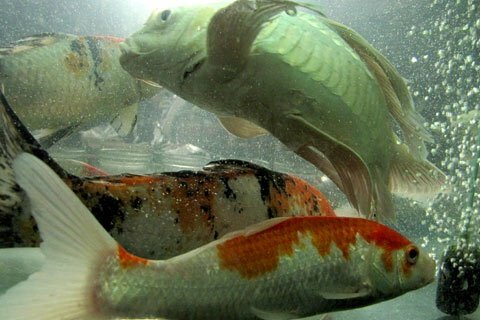 Koi fish, originating from China, are expensive but very difficult to breed. 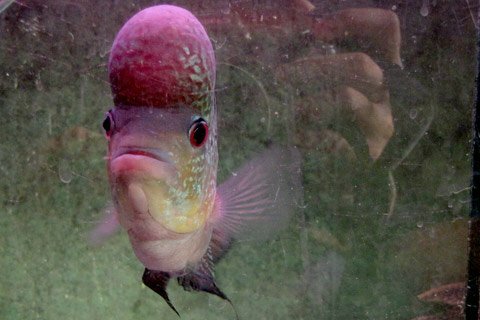 Some species of fish are not very expensive, ranging from $14-25.